A 6.30am wake up call from a six and eight year old seemed fairly reasonable, considering Santa had indeed been. It was even more justified considering our presence meant the six year old - at the parents' request we might add - was made to surrender her room on Christmas Eve and share with her sister. Thankfully Santa had read the note explaining the sleeping arrangement. Through Val, we had been invited to a proper kiwi family Christmas. It was a day's ride away and on Christmas Eve, we were packed off with enough food to last a week. Christmas lunch was done on the BBQ with an array of tasty trimmings and preceded by a traditional Māori grace. We sat outside under a walnut tree trying the local wine and enjoying the company - an experience we’ll remember fondly. 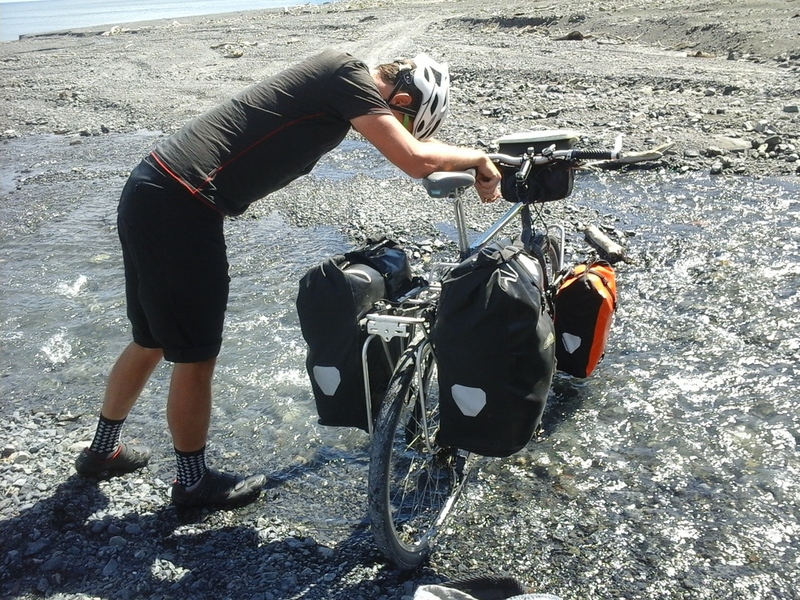 We ended up pushing our bikes again for the first time since the Coromandel as parts of the coastal 4x4 track to Wellington had washed away, but that night's camping was worth it. The wind felt like it might relieve us of our tent, the noise of which was enough to utterly convince Luke that a rogue possum was laying siege to the awning. The light and location were spectacular.